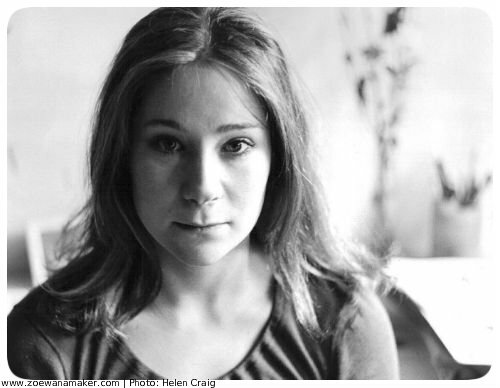 New Year is traditionally a time of new beginnings – and this was certainly the case for Zoë as 1971 dawned. The previous year she had completed her training at the prestigious Central School of Speech & Drama, in London, and embarked on her professional acting career. Now she was making her first appearance on television, playing the title role in 'Sally for Keeps', the fourth episode of drama anthology series Turn of the Year. This diverse six-part series, made by the ATV Network, is composed of 'amusing, serious and unusual slices of contemporary life', in the TV Times' words. Turn of the Year explores ways in which the excitement and spirit of change associated with the festive period not only magnify emotive issues but can also offer those involved a fresh perspective on them. As the TV Times put it succinctly, 'problem people with problems' are at the heart of the series. Gambling and materialism are among the issues explored, while 'Sally for Keeps' focuses on the impact of growing up without a stable family. Zoë's TV debut came on Sunday 3 January, when 'Sally for Keeps' was broadcast by ITV (6:35-7pm). She is pictured, above, with her fellow cast members, James Grout and Barbara Leigh-Hunt, in a still from the programme. 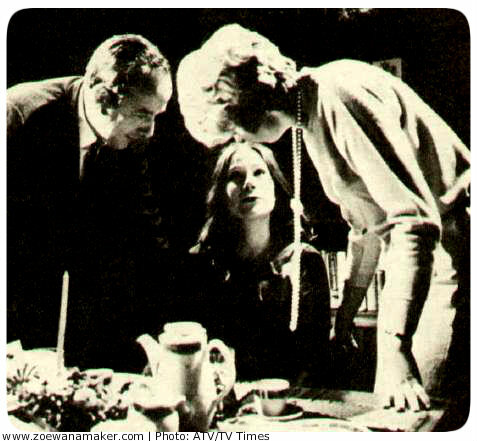 The TV Times introduced the young actress to its readers as the 'daughter of American actor-director Sam [Wanamaker]'. Zoë was only 21 at the time (below is one of her earliest publicity photos, from a year or two before 'Sally for Keeps' was broadcast, which she has kindly provided for use on this website). Her character in the programme is even younger than Zoe was at the time: Sally is a teenager who has had a tough start in life. Kind but troubled, Sally is estranged from her parents: she doesn't know her father, and her mother deserted her two years ago. Sally's English teacher and his wife, Robert and Jane, have stepped in to offer her a brief respite, over Christmas, from life in a children's home. As the festivities draw to a close, the middle-aged couple reflect on fostering Sally and realise they have a life-changing decision to make. The TV Times summed up Robert and Jane's dilemma: 'Now, as she leaves the room to pack her things, the couple are faced with the big question: Dare they ask her to stay ''for keeps''?' How will Sally react if they do? Will she let her true feelings show? The scriptwriters who contributed to Turn of the Year were asked 'to write a Sunday play upon a subject about which they felt strongly', the TV Times explained, pointing to the religious and moral dimensions of the series. The well-known writer of 'Sally for Keeps', Ken Taylor, chose the theme of young people in care, in the light of his experience as a foster parent. Broadcast at a time of year that brings friends and families together, the programme highlights the importance of growing up in a safe, supportive environment – something Robert and Jane can offer Sally. During an interview with Mark Lawson (a screen capture from which is below), broadcast just over forty years after 'Sally for Keeps', Zoë briefly shared her memories of her first TV project. She recalled the programme being shown in 'a religious slot' and, in relation to her approach to portraying Sally, emphasised that she 'was very ''Method'' at that time'. Sadly, as is the case with many programmes made before or during the early Seventies, 'Sally for Keeps' has been lost from the TV archives, along with all of the other episodes of Turn of the Year. It is a great pity for Zoe's fans that the first of her many appearances on TV is no longer available to watch and can only be pieced together from contemporary press cuttings, etc.